This California old vine Zinfandel has aromas of boysenberries, cocoa and nutmeg. It has distinct flavors of blood orange, pink peppercorns, and boysenberries for a fruity finish. Pairs well with a grilled skirt steak and bbq corn, aged gouda or boysenberry pie. You can also enjoy it with poached salmon. Here is a recipe that everyone keeps asking me for. Salmon is one of my favorite fishes. I prefer using Coho or Sockeye. Farmed Salmon can contain dioxins, so when I prepared this I did use pacific wild-caught salmon and it didn’t have color added to the flesh. I have also purchased Scottish salmon, it was one of the best tasting salmons I have had. It even had a tag on it, when it was caught, so you knew how fresh it was. I always get the salmon with the skin because it seals the moisture in when searing it. When you bake it, the skin is optional. 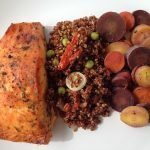 Salmon is an oily fish, so you don’t need that much oil, just enough to lightly coat it, so the seasoning sticks to it. It’s a very versatile fish. There are so many ways to prepare this; you could serve it every day for a month and never twice the same. 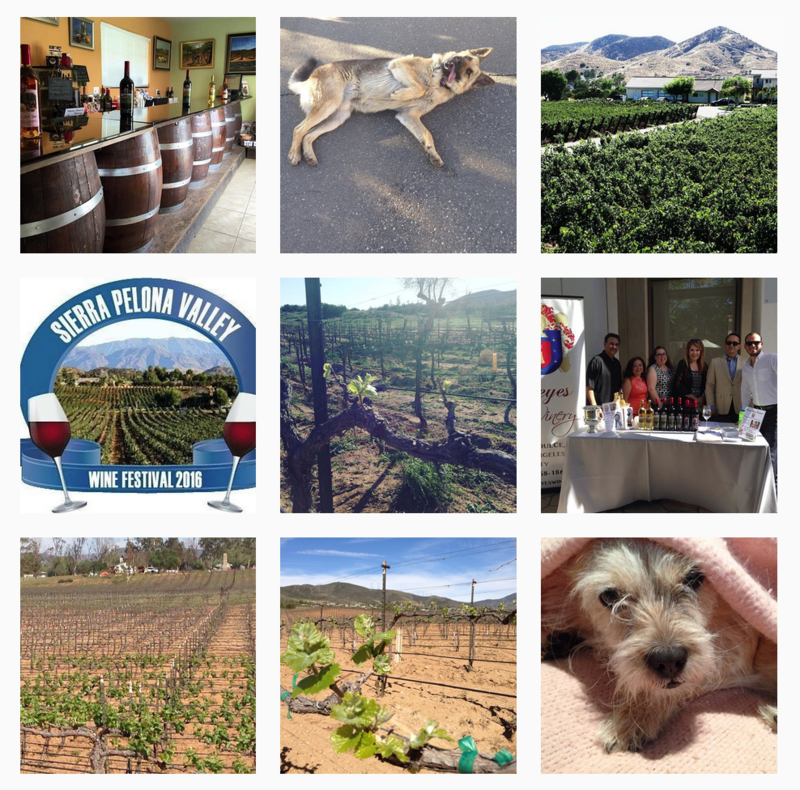 This has been featured at many Reyes Winery events.. It is always the favorite of the day. In a 9×9 baking pan, spray the whole pan thoroughly so that the salmon won’t stick. Rub the salmon with olive oil. Season the top with adobo, garlic, parsley, salt and pepper. 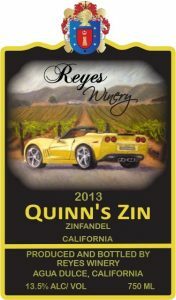 Add Reyes 2013 Quinn’s Zin, a juice of lemon and orange to bottom of pan. Bake in preheated oven at 375 degrees for 20 minutes covered. Uncover and broil for 5 minutes. ← What wines to pair for your family Thanksgiving dinner?